Proftpd is one of the most popular FTP server, secure and reliable for the Linux operating system. Proftpd using a single configuration file and it is very easy to set up. The purpose of this article is to show you how easy it is to install FTP Server Linux ProFTPd server in CentOS 6 Linux. What is FTP Server Linux? If you encountered any issues while installing FTP Server Linux using proftpd, you can put a few questions in the comments below. ProFTPD (short for Pro FTP daemon) is a popular open-source FTP server. It’s an alternative to vsftpd. For those who run virtual private server (VPS) or dedicated server to host your blog or website, I would recommend you to install FTP service, it will be easy for you to upload and retrieved any files to the server. This post describes the steps to install and configure ProFTPD FTP Server on Ubuntu 14.04. # it runs in daemon mode. It is not required in inetd/xinetd mode. 5. 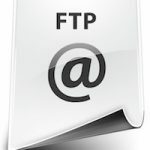 Test FTP connection using FTP client. ftp: 132 bytes received in 0.02Seconds 8.25Kbytes/sec.